What the hell is wrong with me? Posting a Christmas post? This early? You all know I'm not religious and don't celebrate Christmas as the religious holiday that it is but I do love this time of year. I love the Christmas lights, the cold and cozy weather, the good mood everybody's in, the shopping for presents. 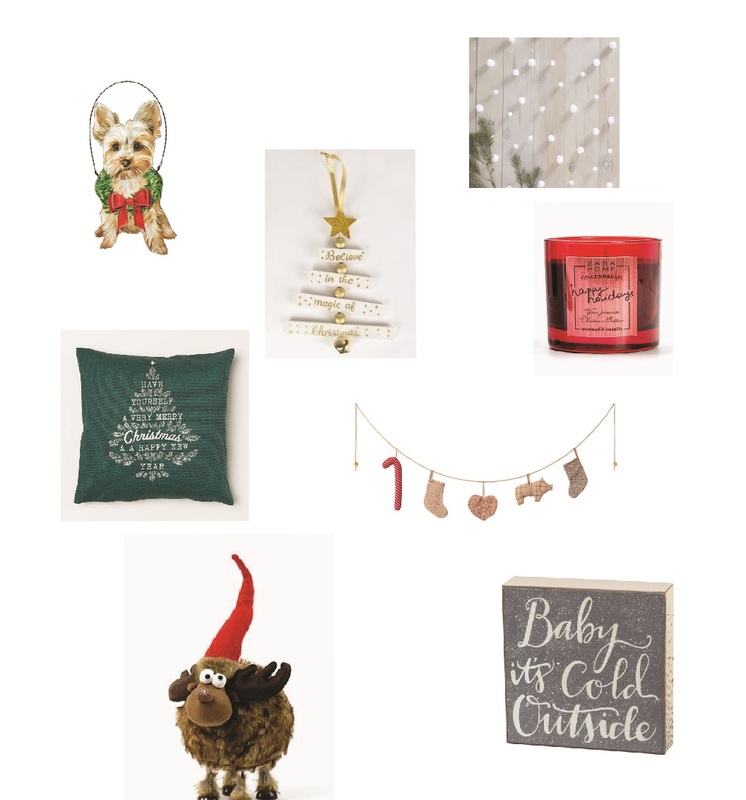 Christmas shopping, that's how I got the idea for today's post. This past weekend I started ticking off things on my list of gift ideas that I started months ago because I wanted to be prepared (and because I was excited, not gonna lie) and while browsing through the home decor shops I noticed such cute decorations that got me in the mood to actually decorate my room which is something I had never done before and I thought I'd browse the internet for some inspiration. If you're in need of ideas I hope I'm able to help and if you don't need ideas then leave in the comments what you think of mine! One of the items is from a Portuguese store that I don't know if they ship worldwide but it was just so cute I had to include it because I fell in love with it when I saw it.